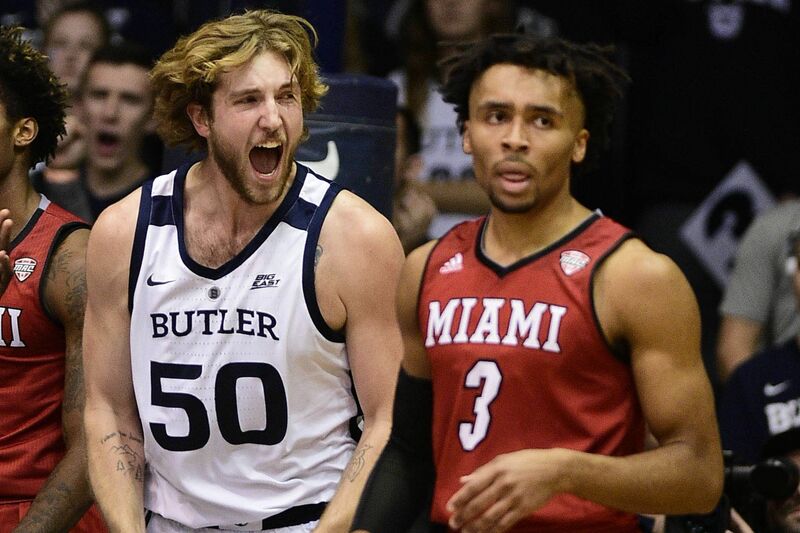 It’s the game that is circled on every Butler fan’s calendar. The matchup with the Xavier Musketeers. There is always a ton of trash talk on social media between fans of each school. 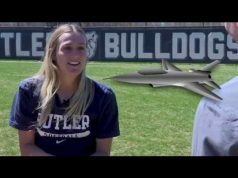 Last season, the Bulldogs got the best of Xavier University in two of their three meetings. This year, it’s been all Musketeers as they have now won both games against the Bulldogs. This one was a 98-93 overtime heart-stopper. 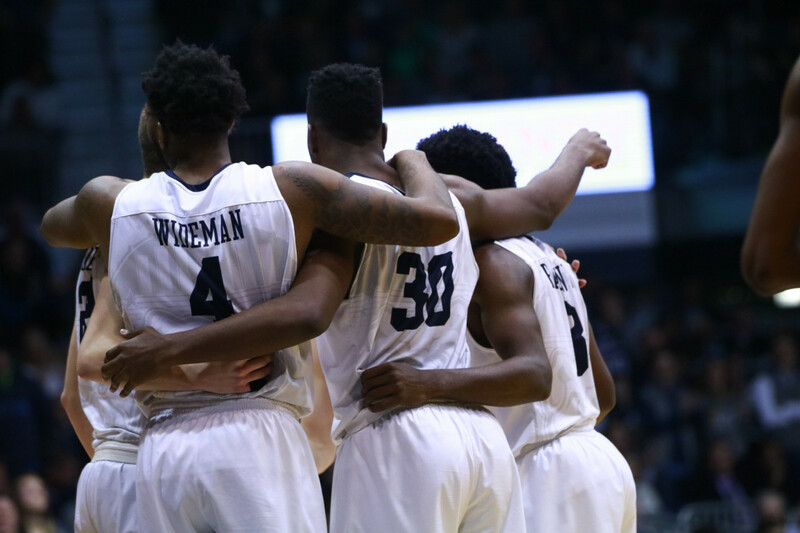 Hinkle was loud, but it wasn’t enough to lift the Bulldogs to a victory. One of the issues that plagued this Butler team early on this season was their failure to get off to good starts offensively. It seemed they had solved that problem, but it haunted them tonight. The Bulldogs got out to an early 9-4 lead, but then Xavier took control and did not let go for the next eight minutes. The Musketeers catapulted themselves to an 18 point lead on the back of a 25-2 scoring run. The Bulldogs also missed nine consecutive field goals in this time. Fortunately, Butler was able to cut the deficit down to 10 by halftime. Xavier hit five of their eight three point attempts compared to Butler’s three-for-12 mark in the first half. Any Butler basketball fan knows that the Bulldogs rarely, if ever, go away quietly. Butler was able to cut into Xavier’s lead right from the start of the second half. The Bulldogs took a lead on Sean McDermott’s three-pointer that nearly made Hinkle Fieldhouse explode. It was a back and forth dog fight as the teams traded baskets and the crowd hung on every single shot. With 1:57 remaining in the half, Xavier’s Trevon Bluiett hit a three that put the Musketeers up 80-73 and it sucked the life out of the crowd in Hinkle. But, oh no, the Dawgs weren’t done just yet. After a couple of free throws and a Xavier turnover, McDermott hit another three, his fifth of the night, which cut the deficit to 82-81. Then, with 13 seconds left, Kamar Baldwin drains a long three. Utter pandemonium. That shot tied the game at 84 and forced overtime. Butler hit at a 62.5 percent mark from three point range in the second half, compared to Xavier’s 30 percent. Unfortunately, the famous Hinkle magic ran out. Xavier outscored the Bulldogs 14-9 in the overtime period and put the game away. Even in the loss, the Bulldogs got some stellar performances from their top players. Kelan Martin threatened his career-high in points, leading Butler with 34 to go along with seven rebounds and four assists. McDermott came off the bench for the Bulldogs and had a lights out night shooting the ball. He went five-of-six from beyond the arc and added 17 points. Baldwin contributed 16 and Nate Fowler put up 10 more to round out the four Dawgs in double digits. The Bulldogs put up a great fight. 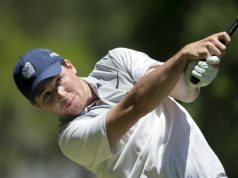 Ultimately, Xavier showed why they are the fifth ranked team in the country. The Bulldogs have a matchup with the first-ranked Villanova Wildcats on Feb. 10. The Bulldogs put on a shooting clinic in their last matchup, taking the 101-93 victory at Hinkle. Butler will look to beat Villanova for the fourth straight time.